Three Whitby potters lost valuable fishing gear and time last week, after several fleets of static gear, clearly marked in a traditional crabbing area, were towed away by a visiting scalloper, reports David Linkie. Skippers Adrian Noble (Olivia Rose WY 806) and James Cole (Sardia Louise WY 335) reported losing seven leaders of gear, amounting to over 250 36in parlour pots, on the same morning. One of Olive Rose’s leaders was eventually located, having been towed 2.9 miles. Both boats’ gear was shot between 7.8 and 8.5 miles on hard ground off Whitby, in a well-established potting box. 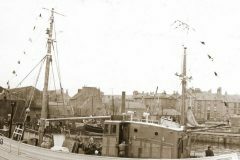 For many years Whitby skippers have followed the unwritten law of not fishing static gear on the softer ground favoured by scallop dredgers, from six miles out, to the edge of the hard ground two miles further off. 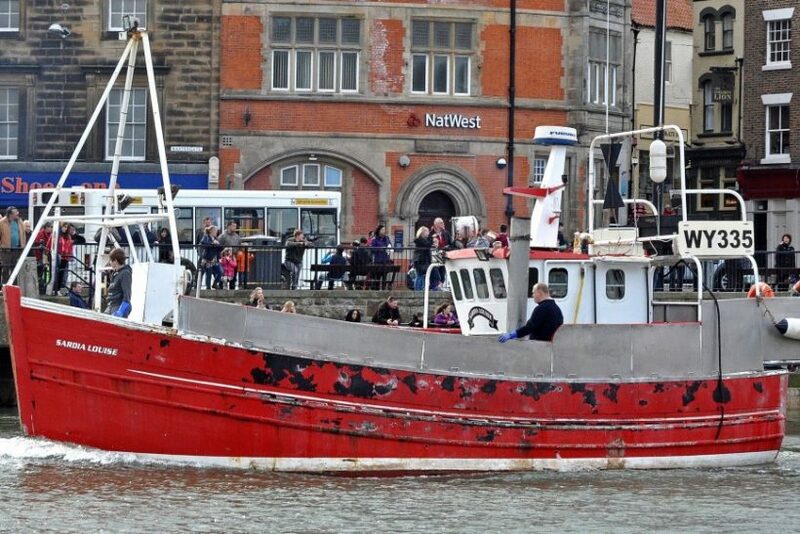 A third Whitby boat, skipper Jason Dobson’s Ocean Spray, which was fishing 0.25 miles further off, on this occasion, escaped relatively lightly. All three skippers and their crews spent two days grazing for their gear, some of which was eventually found to have been balled up in a large clump. The excessive weight associated with trying to recover the resultant tangle of gear lead to the failure of hydraulic pipes on Ocean Spray. Having heard of the potting boats’ losses, the skipper of the under-10m scallop Rejoice BH 220 immediately asked his crab colleagues to move any gear still left in the area where the gear was missing, so that he could tow up and down to try to help them locate some of the missing pots. Although further attempts to locate more gear will continue, the two skippers are currently still missing around 150 parlour pots, which until they are recovered, will continue to ghost fish on the bottom. 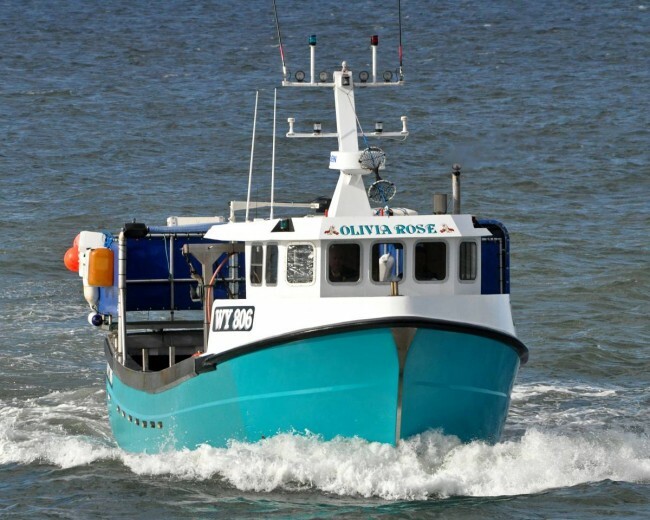 Whitby crabber Olivia Rose lost several fleets of pots. Skipper Adrian Noble said: “Towing through the middle of pot leaders and dismantling our gear can only be described as vandalism. At a time when NEIFCA is bringing in new rules and regulations for static-gear fishermen, including the requirement to fit escape gaps into every pot, this situation cannot be allowed to continue. Rather than risk losing any more gear, I’m left with no option but to bring it all ashore. Skipper James Cole commented: “Having previously been a mobile-gear skipper myself, there is no excuse for what amounts to a total disregard of another fisherman’s livelihood. It takes almost full day’s work ashore to rig a new parlour, so as things stand at present, that means 60 days of work just to get back to where we were until one scalloper wiped our gear out. In the same week as Olivia Rose and Sardia Louise had gear towed away, skipper Richard Ford of the Scarborough under-10m potting catamaran Optimistic SH 50 reported two leaders of 25 pots each being towed away when shot 5.5 miles off Robin Hood’s Bay, within the area where scalloping is not permitted by an NEIFCA byelaw. 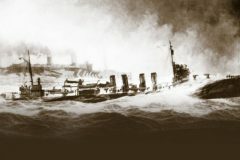 On discovering their losses, attributed to a scalloper not displaying AIS, the skippers immediately contacted the MMO and NEIFCA, before discussing the situation further on returning to shore. Read more stories from Fishing News here….